A stationery collection inspired by a famous poem? Well, why not! 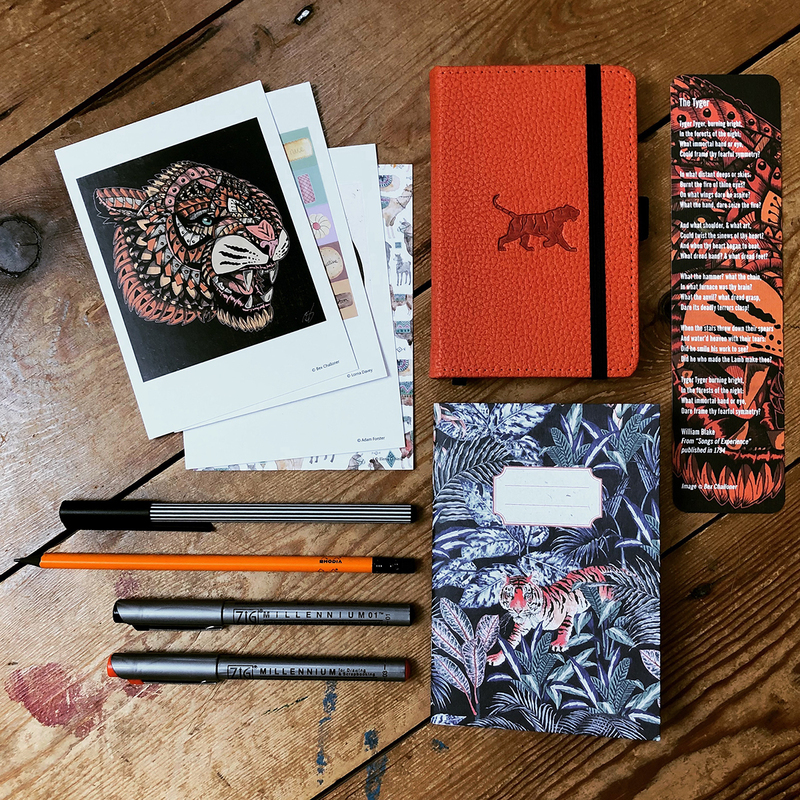 This collection comprises a Dingbats tiger hardcover dot grid pocket notebook, a Jacqueline Colley illustrated A6 lined notebook, black and orange Zig Millenium pens, an Edding 55 black pen, a Rhodia graphite pencil, a Tyger illustrated poem bookmark and a set of four exclusive illustrated postcards.